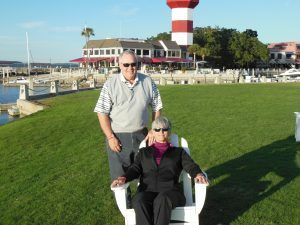 Danny and Linda Hyde are a retired couple who love to travel and love to play golf. When travel and golf are combined with someplace warm, like a nearby beach, and it is just about perfect! I have been both very fortunate and somewhat troubled by the paths my life has taken over the years. Early on, I was just involved in learning about all the many things that interested me. I have recently learned a new word: multipotentialite. It didn’t immediately register that this word would ever describe me. It took me a while to realize that the very wide (and necessarily so) parameters that define multipods made it even easier to find a place in this niche. I studied math and languages; my major was English with a Physical Education minor. My health was great and I was in pretty good physical shape from the wrestling team and tennis team. But I was restless. I didn’t enjoy time spent at a desk doing mundane tasks for hours on end. So when an opportunity arose to try a more “hands on” style of work, I took it. I was a carpenter by trade; I still am. My work for 35 years in the construction industry served me and my family well. I worked with my hands and my tools from 1971 until 1992 as a carpenter, carpenter foreman, and construction superintendent. When a company I had worked with for several years decided to close their doors, I decided to run for election as a Business Representative of the United Brotherhood of Carpenters and Joiners of America. Winning a tough election for that position allowed me to give back, for the next 14 years, to the union that had given me and my family so many benefits. I was able to utilize some rarely used skills, almost forgotten from days of higher learning, in writing, negotiating, and communicating with peers and business associates alike, to further the needs of our members. 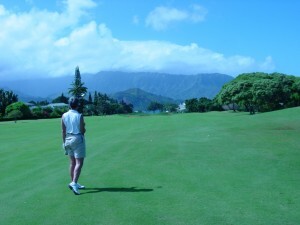 As I contemplated retirement in 2006 from that position, I planned to take life a little easier and play a lot of golf. And I did… mostly at home. As things happen, my wife would still work for the next 9 years. A lot of my friends asked me how I worked that out! Ha! And it was a wonderful time, except for the fact that travel was limited to the times when Linda had a long weekend or vacation time to permit us to really go elsewhere to enjoy those golf trips we yearned to make and to visit other countries, or just new places. Now that she is also retired, we have the time to dedicate to travel. We also, of course, need to properly fund those escapes. Sure, we retired with a reliable income to support ourselves. But, was it enough to enable us to travel as much and as often as we wanted? Travel can get very expensive, after all! We’re gonna find out, or find ways to make it work! Stay tuned. 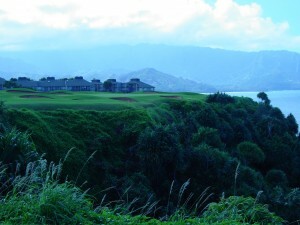 Playing golf in locations like this (Kauai) is what gets us up in the morning!